Monday the 12 November marked the opening of Dubai Design Week. The week-long event is the region’s largest creative festival and it showcases a variety of design disciplines, bringing together skills of all ages. 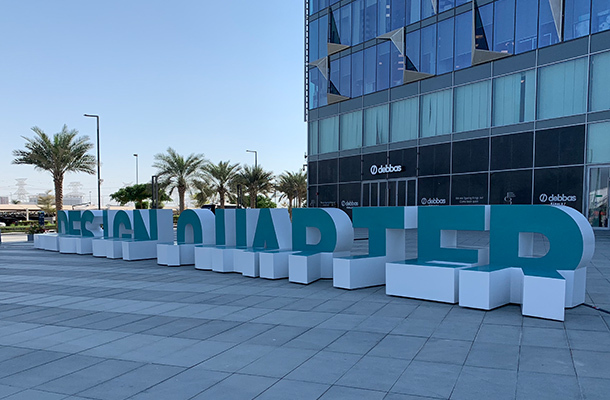 The week kicked off with the opening of Downtown Dubai, a trade show held at Dubai’s Design District (D3). The sixth edition of this trade fair showcased 175 design brands ranging from lighting and furniture to jewellery design. 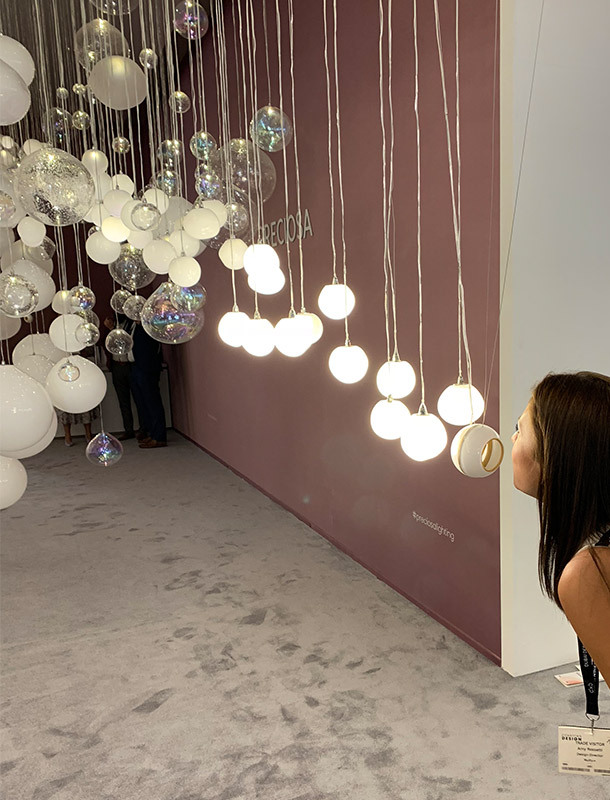 A lighting highlight was the PRECIOSA interactive feature called “Breath of Light”, designed in collaboration with VASKU & KLUG. The idea of this installation was “breathing new life into light”. A breath was blown into the four sensors positioned around the feature, which ignited the dynamic lighting accompanied with sound. Having the ability to physically impact on the dynamic movement of the piece created a real connection between the user and the light feature. Many workshops were held during the week, attracting students, designers and people of all career backgrounds. 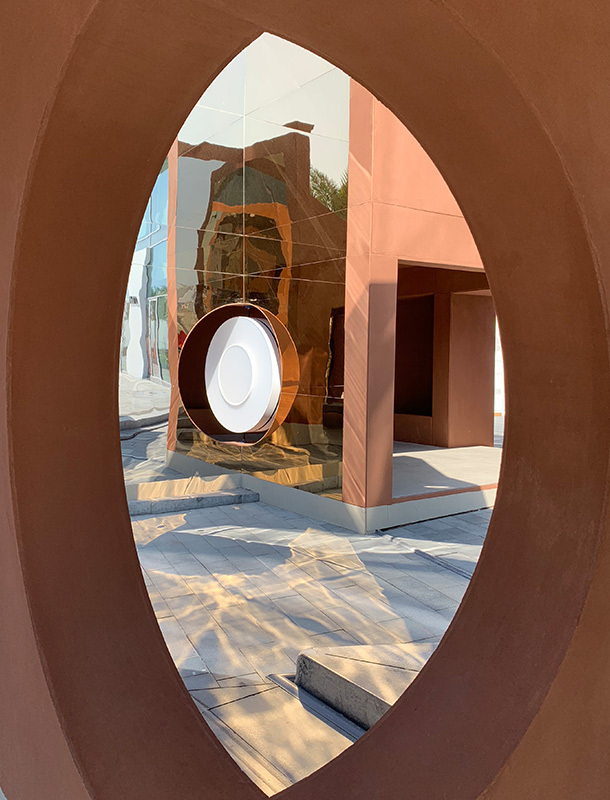 Dubai’s Design District was decorated with installations showcasing collaborations of designers from all fields and manufacturers. 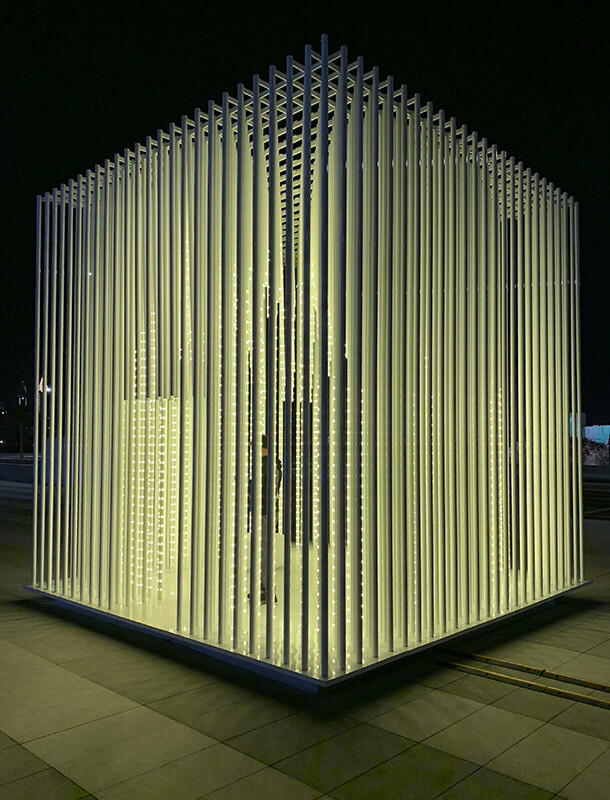 HousEmotion, designed by Tabanlıoğlu Architects, was transformed into a light sculpture at night. It was created to explore the emotional meaning of a home and the ambiguous question of where we belong. The open cubic structure was made up of a series of rods, creating a translucency through the composition, drawing visitors in but also allowing the home to dissolve into the wider environment. 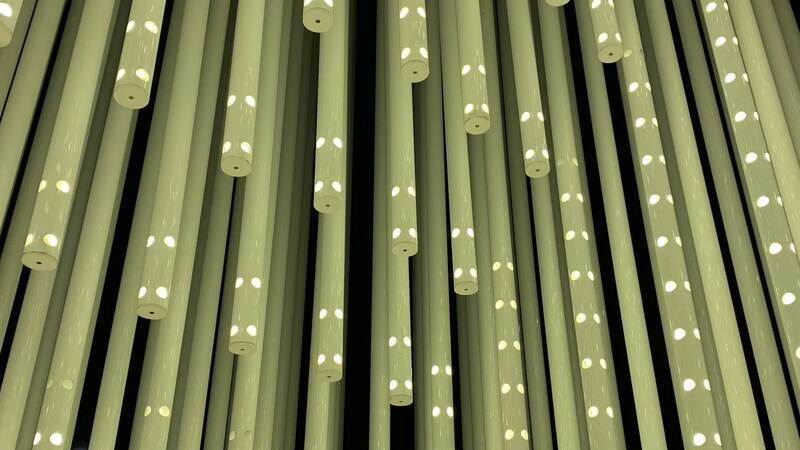 These rods encompassed small LEDs at different densities, creating a dynamic and powerful architectural piece. The feeling of being inside created a warm and safe ambience, whilst the transparency allowed you to connect with the outside world. Lighting played an important role throughout the installations. One in particular was “Circadian Light Synthesis” by ANARCHITECT. This piece was composed of two interconnected pavilions. It was created to highlight the impact that the intensity and colour temperature of light has on our natural body clock. This subject is opening many doors in terms of lighting and design and how we can use artificial lighting to mimic the changes in natural daylight to help our wellbeing. 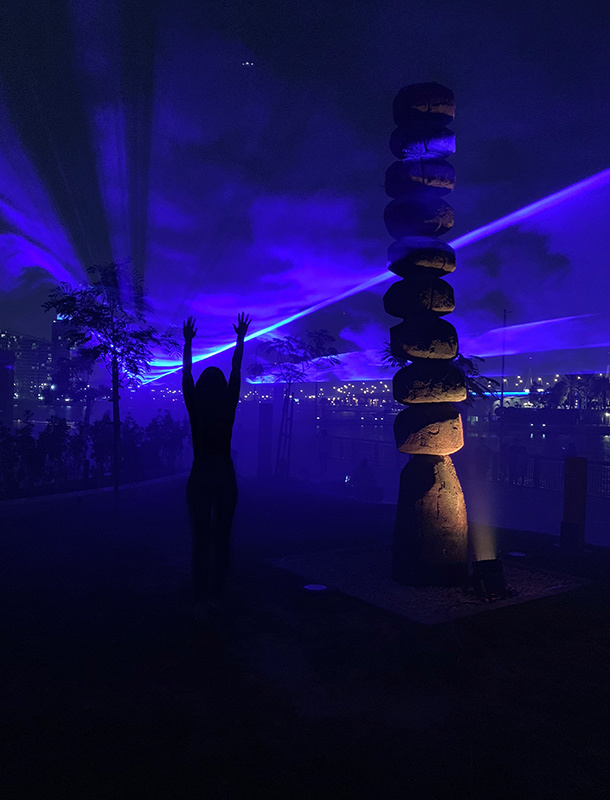 My personal highlight of the week was the creative light and smoke installation “WATERLICHT” by the artist Daan Roosegaarde, held at the new Jameel Arts Centre at Jaddaf Waterfront. The immersive experience was created to stimulate the senses to make the viewer feel like they’re sinking in a flooded city. This virtual flood highlights the impact that we’re having on the world, showing how much water levels could rise if people don’t take action. As the smoke reached the light, it swirled across the imaginary ceiling, invoking a mesmerising sensation and experience. It was fantastic to experience a week that celebrated the creativity in the region and the developments in design. Not only was it inspirational, it provided a way to bring the creative industries together.